Bryce Wressell of Ballard and West Seattle's Maar Rambang start the game with the opening tip. The Wildcats beat the Ballard Beavers by a 60-40 score to launch a promising season. 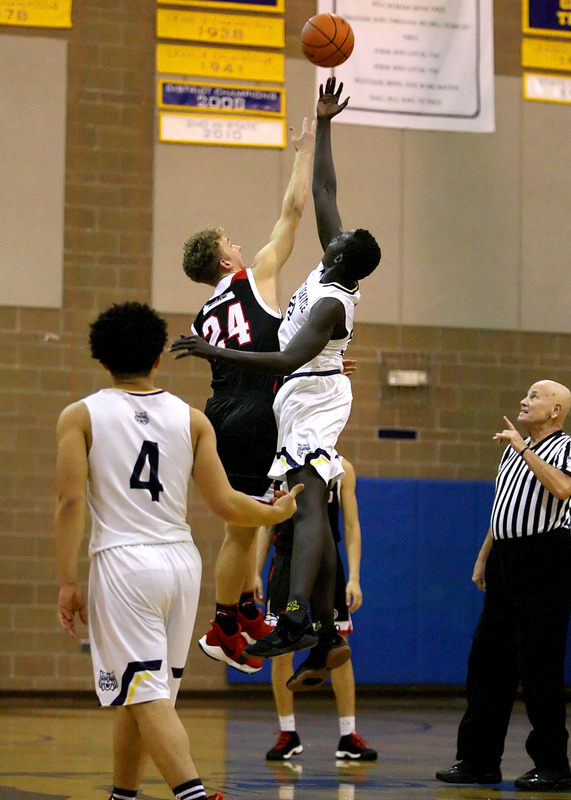 The action in the West Seattle gymnasium was also the Metro League opener for the Beavers. West Seattle gets a bye Tuesday and will not play again until Friday, when it hosts Lakeside for an 8:30 p.m. game. Ballard entertains Garfield at 7:30 p.m. Tuesday before visiting O'Dea at the same time Friday.